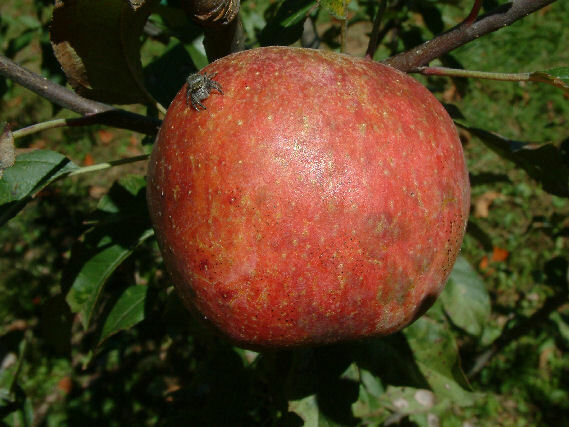 Originated in South Carolina in the 1850’s and sold as an all-purpose apple for eating, cooking, and cider. Fruit size is below medium with clear yellow skin overlaid with red stripes and splashes. The fine-grained yellow flesh is juicy and very tender. Ripens August to September.